Aaron Donald deal is done! 6 yrs, 135 mil, 87 gtd. 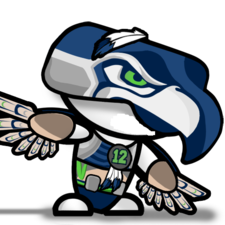 Gotta love beliefs by "around the league". Mo betta speculation by nameless sources. I do think this is fairly obvious though. He wants a new deal and we're working on getting him one. I never a) thought he'd play without a new deal or b) thought we wouldn't try to get a deal done. This is like saying Goff won't play well unless he's on the field...no crap. I read last night that we offered to make him the highest player defensive player in history (4year $21mil per) and apparently he is insulted by that offer and wanted north of $25mil per which is QB money.....I love AD. I think he's the best defensive player in football....but I aint paying him like a QB. I realize that's not going to be a popular opinion on this page, but if he's not budging and is insulted by being the highest player defensive player of all time, I'd start exploring other options. I think the reports are his agents were insulted. Regardless, it all comes down to guaranteed money anyways. Once we hear what that figure is, that's when we'll know if it's a crazy offer or not. Both sides will probably meet somewhere in the middle. If they're willing to pay him $21 million per year, then it's understandable for Donald to try to get as much money is possible. Maybe somewhere in the ballpark of $22.5 million per year with a lot of guaranteed money. 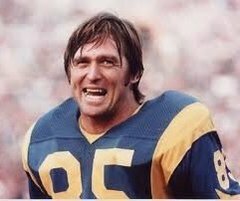 That would be a great deal for Donald and the Rams would be very happy because they secured the best defender and probably the best player in the entire league. The Peters, Talib, and Cooks trades came out of no where, along with the Cooks and Gurley extensions. The Rams are keeping everything in house and releasing all of the news themselves. Why would there be a leak now? Fair point, but different circumstances. Cooks and Gurley never held out before. Nothing to gain from either side leaking trade rumors since the individual player doesn't reap the benefit of a higher price (whether Cooks is traded for a 1st or 2nd is irrelevant to him, etc). Ram's wouldn't leak this info, but Donald's team would. They are also in competition with Khalil Mack at the moment. So Donald's team leaks that he's got $21mil per, then Mack's team leverages $22mil, then Donald's team comes back and says Donald deserves $23mil if Mack is getting $22mil. It's a bargaining ploy. I get it. Who ever caves first essentially loses, but both Mack and Donald will be filthy rich at the end of this. Only reason for the team to leak now is because the pressure of every one saying "but what about Aaron Donald?" and the blame being placed on the Rams. 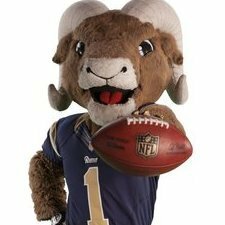 By leaking those 21 and 25 figures, the majority of people who understand the cap will shift the blame from the Rams to AD for a deal not being done. Just speculating. Personally, if he wants QB money and highest paid defender ever isn't enough, well then see ya. Don't think any team gives him 25/year. That's the kind of deal that can ruin a team for a long time. So I've just talked to a friend who is an NFL agent and he laid down how CAA has royally f***ed the AD situation up. If you look in the CBA Article 8 Section 1 (b). A player shall not receive an Accrued Season for any League Year in which the player is under contract to a Club and in which he failed to report to such Club at least thirty days prior to the first regular season game of that season. This means AD did not accrue a season last year and will not accrue a season this year if he does not report by August 6th. In the following section, it highlights how any FA with less than 3 accrued seasons will not be UFA but will be a RESTRICTED FA. This is massive because by AD holding out last year with 2 years left, he will now be a RFA which means a team will have to pay him that massive number he wants AND give a first round pick to us (because of course that will be his tender). What team will be willing to do that? We can keep AD with 2 tags for the next 4 years. I dont believe any report of the amount of money offered unless its from Schefter or it comes out of the Snead, McVay, or AD mouth. 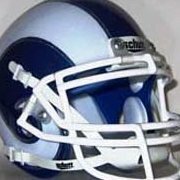 With that being said, I do believe the Rams will get a deal done soon to avoid the holdout being carried into the season. AD will get paid and we can stop talking about all of this. All we should be doing is talking about football and not contracts and holdouts. For me all the news are smokescreen. In reality, it doesn't matter if Donald report to camp or not. Last year he didn't report and played just fine. Rams will pay Donald, it's just a matter of time and i don't think Donald is mad at Gurley or Cooks for the early extention because it's not like the two side aren't in a negociation right now. He knows a deal will get done, he's in waiting mode. Did you read that he (Aaron) was insulted or that "his agent" was insulted? Because if it's the later, then I'm not really concerned. His agent, like OBJ's agent, likely sold him a bill of goods that he could get him QB money and is now coming to the realization that that's just not realistic, at least not for the term of the contract. Donald is an absolutely ELITE pass-rusher, but pass-rushers, even near-elite pass-rushers are more common than actual franchise QB's you can build our team around, so QB's getting paid more is a justified thing. I may be a bit overly optimistic here, but the timing of such an announcement (that the agent is insulted - and even that came from someone I wouldn't call a credible source, even though he's holding himself up to Vinny as though he should have similar credibility despite nowhere near the track record) is suspect to me. It reads like an agent who knows his client wants to re-sign and that the team has planned all along on doing the deal, they just wanted to ensure they could get all other desired extensions in on-budget as well, and now that some of those major deals are getting done, the hour is growing increasingly nearer and nearer wherein negotiations are going to cease because his client will be ready to sign and he may not be able to boast having the "highest-paid defensive player in the league" for more than a couple weeks (which would be a selling point he'd want when trying to get clients to jump ship to his agency or when trying to sign future big ticket/pay-day prospects like the pass-rushers that are coming out in the 2019 draft class). If Donald continues to holdout because France has convinced him he deserves top QB money, he only has himself (and his agent) to blame. And the Rams should in no way be blamed for not setting fire to their cap future for him, particularly when they will, in the foreseeable future, need to pay Goff top QB money. Again, this is a game of chicken between Mack and Donald to see who signs first and the other will sign a slightly higher deal.